Lake Green, Navy Blue, Bright Yellow, Rice White, Crimson Red. Aspire Impex is a firm promoted by Divesh Singh and Manishi Datta with a commitment to bring innovative product lines to India. Divesh has worked in various corporates in HR and Admin for the past 20 years in India, and Manishi has previously worked in leading media houses in India and in the content licensing business having a client base across APAC. 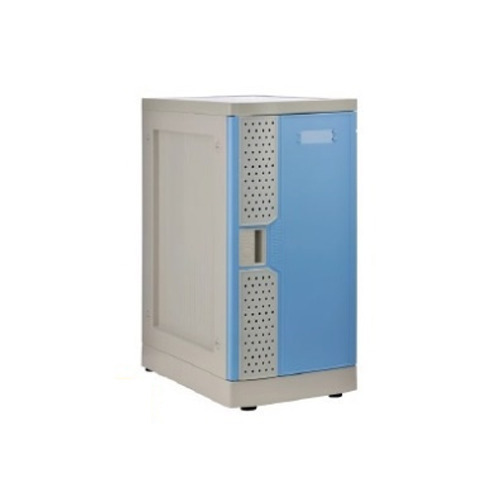 Iridium Lockers is a brand and product owned by Aspire Impex – being introduced in India for the first time, are unique ABS (Acrylonitrile Butadiene Styrene) lockers. These lockers are sturdy, secure, dent & scratch resistant, moisture and corrosion resistant, easy to clean and maintain. These visually appealing lockers have multiple color options and adjustable shelves. These can be stacked securely both horizontally / vertically through interlocking due to its patented modular & DIY concept – such that it can be assembled and dismantled within minutes, without using any tools. All individual parts can be easily replaced. These lockers, having high impact resistant door and body, weighing between 3.5kgs to 5gs are available in 4 different sizes with different locking options (Key, Numeric- both with master key and padlock) These are ideal for schools, universities, and hostels (since the edges are rounded) for students and teachers, malls, spas, sporting & health centres, cinemas, factories, office, hospitals, mail rooms, concert halls. The locker door comes in 5 different colors - Lake Green, Navy Blue, Bright Yellow, Rice White and Crimson Red as well as a translucent one. Established in the year 2014, we are the leading importer, exporter and trader of Locking Systems and Plastic Racksetc.